Waterford’s Seamus Power (above) enjoyed another very good week on the PGA Tour this week just gone as he finished in a tie for 16th at the John Deere Classic which was placed at TPC Deere Run in Silvis, Illinois. Rounds of 68, 68, 65 and 69 saw the Touraneena man finish on -14 and tied for 16th, an amazing 13 shots behind runaway winner Michael Kim, who finished on -27, eight shots clear of the rest of the field. This result has lifted the West Waterford GC man up to 117th on the FedEx Cup standings and up to 125th on the money list with seasonal earnings of $717,614 as he continues to chase a place in the top 125 of the FedEx Cup rankings to secure his card for next season. 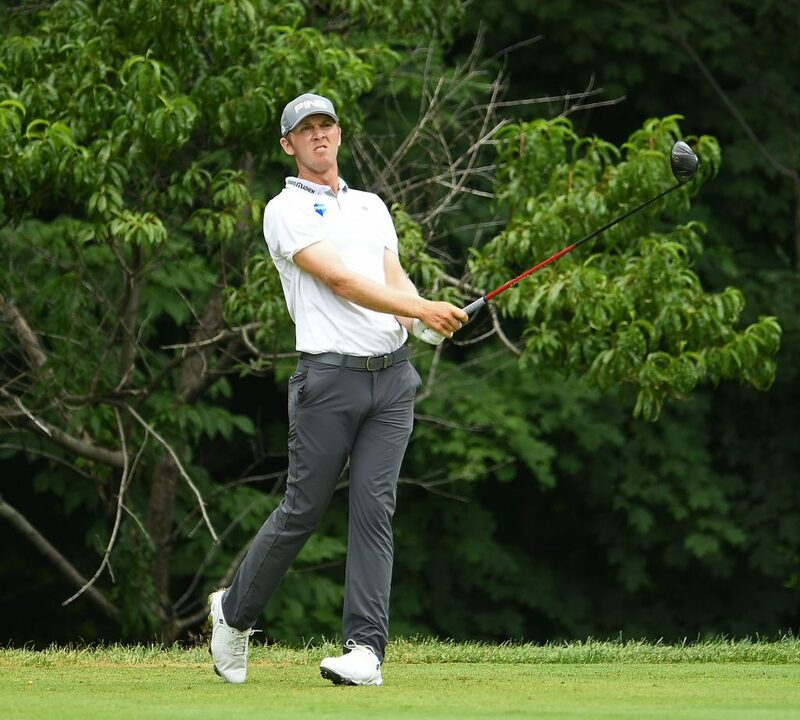 Seamus is back in action this coming weekend when he heads to the Barbasol Championship which is being played at the Keene Trace Golf Club in Lexington, Kentucky. Meanwhile, fellow Waterford golfer, Robin Dawson (below), has been named in the Great Britain and Ireland team for the 2018 St Andrews Trophy, in which they will take on Continent of Europe at Linna Golf, Finland on Thursday 26 and Friday 27 July. Robin Dawson from Tramore GC has been included along with fellow Irish team-mates, St Andrews Links Trophy winner John Murphy from Kinsale and Portmarnock’s Conor Purcell. The rest of the team is made up of six Englishmen: Todd Clements, David Hague, Matthew Jordan, Gian-Marco Petrozzi, Nick Poppleton and Mitch Waite. The team will be captained by Scotland’s Craig Wilson. Dawson, 22, has risen to number 10 in the world this season and in addition to his Flogas Irish Amateur Open victory at Royal County Down, he has had runner-up finishes at The Amateur Championship and the European Amateur Championship. Dawson and his Irish team-mates had a disapoointing outing last week at the European Amateur Team Championship in Golf Club Bad Saarow (Faldo Course) in Germany finishing in ninth place and missing out in the Flight A quarter-finals by a single shot. Robin was T22nd individually.